Serving in the defence of Darwin from Feb 1942 to Sept 1943, during the Japanese bombing raids. 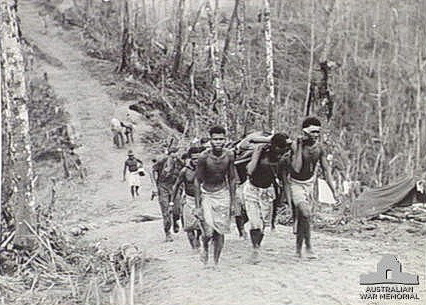 At the end of WW2 the Battalion guarded 26,000 Japanese prisoners on Fauro Island, south of Bougainville until March 1946. Once all members had been discharged, the Battalion was disbanded on 10 May 1946. For more detailed information on the activities of the 7th Battalion please go to the Our History tab at top of the home page. The following members of the 7th Battalion lost their lives while on Active Service. We will remember them. Each name has been linked to the relevant entry for that person on the Australian War Memorial website. Here you will find some further details such as date of death and the location of the person's grave or memorial site. 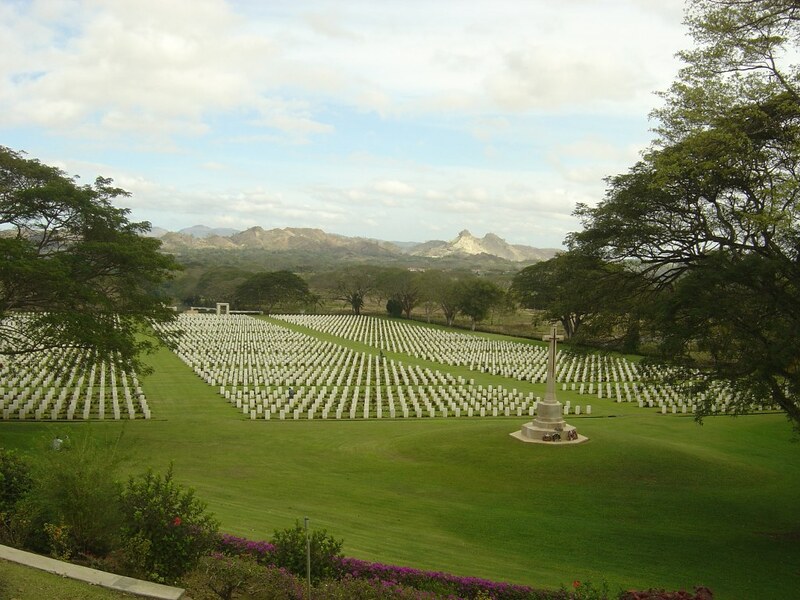 Quite a few 7th Battalion men were laid to rest in the Bomana War Cemetery, Port Moresby, pictured to the right. Please contact secretary@7thbattalionww2@org.au if interested in attending any of these events, unless an alternative contact is given. Mildura: Cenotaph, Deakin Ave Mildura, commencing at 9.30am. Organised by Mildura RSL. Darwin: Cenotaph, The Esplanade, Darwin. Go to http://www.darwin.nt.gov.au/media-centre/events/ for more information. Organised by City of Darwin. 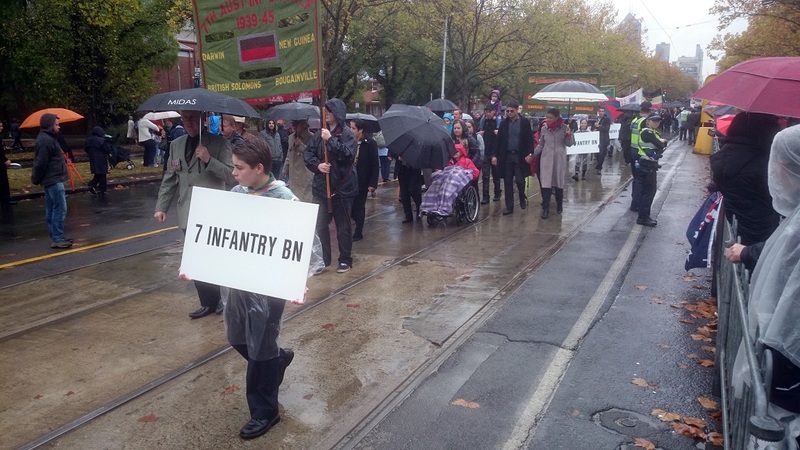 Melbourne March: 7th Battalion veterans and descendants of veterans participate each year. Middle Park Bowling Club, just prior to the ANZAC Day Reunion lunch each year, commencing around 11:30 noon. All Association members are invited to the annual Maryborough Weekend, held in early November each year. 17 members of the 7th Battalion were awarded gallantry awards at the end of the war. Their Commanding Officer. LTCOL Harry Dunkley was awarded the Distinguished Service Order. 16 were awarded Mention in Despatches for their "Exceptional Service in the field in the South West Pacific area" and they are listed below in alphabetical order by surname. It can be difficult to find out why an award was made, especially for Mention in Despatches. It might be for a particular event or for actions taken over a period of time. Click here for more information on Mention in Despatches. For information on the promulgation of these awards click here. The 7th Australian Infantry Battalion was formed in 1936 as a militia unit, also named the North West Murray Borderers because its members came from the area where Victoria, NSW and South Australia meet. In 1942 the battalion was formally moved into the Australian Infantry Forces (AIF) prior to being sent to serve overseas. There were two other 7th Battalions. The first, or 1/7th Battalion served during World War 1. The 2/7th Battalion (part of the AIF from its inception) also served during World War 2, initially in the Middle East then Greece and Crete. Later the 2/7th fought in New Guinea near Wau (1943), then in the Torricelli and Prince Alexander ranges (1944). This website, together with its associated links and resources, attempts to tell something of the real story about the men of the 7th Battalion who helped to defend Australia during the Second World War, and of the Association formed to honour their service.